Perhaps your day-to-day business requires a work truck that can haul the heavy loads that your job involves or maybe you require a cargo van that can transport the items that you need in a secure and spacious vehicle. Whatever truck or van your business needs, stop by Bergeron Chrysler Dodge Jeep Ram to see which of our commercial models will fit best for your daily tasks. 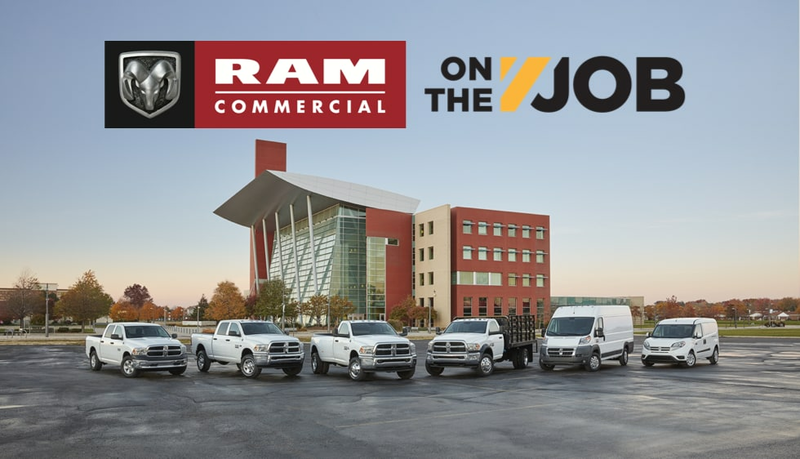 Visit our Ram Commercial Vehicle department here! We have a vast collection of new work trucks and cargo vans, with more being added as they are introduced, and, if you don't find what you need, we can locate or order one for you that fits perfectly with your wants and preferences. Our inventory consists of hard-working trucks, like the Ram 1500, 2500, and 3500, the versatile and powerful Chassis, the ready-to-go Ram ProMaster and ProMaster City vans, and more. Picture towing or hauling your larger items, like dirt, cargo, equipment, and more, with your new Ram 1500, 2500, or 3500 truck in nearby cities we serve like Westwego and Kenner. Think about how your new Ram Chassis could be outfitted to fit perfectly in your commercial fleet. Or imagine how the Ram ProMaster or ProMaster City vans could make your daily work tasks that much easier and more efficient as you drive around Slidell or the New Orleans area. Browse the selection of Ram Work Trucks and Commercial Vehicles in our Metaire dealership here! If you're interested in purchasing a new commercial vehicle, whether it be to add to your already impressive fleet of business trucks or vans or to begin your work collection, feel free to visit our Metairie, LA, showroom. Take any of our models for a test drive and don't hesitate to ask our associates whatever questions you may have. We are here to help you find the best possible fit for your business vehicle needs.